This week I'm reliably informed that France (believe it or not) is still a thing. I know! Who'd've thought? 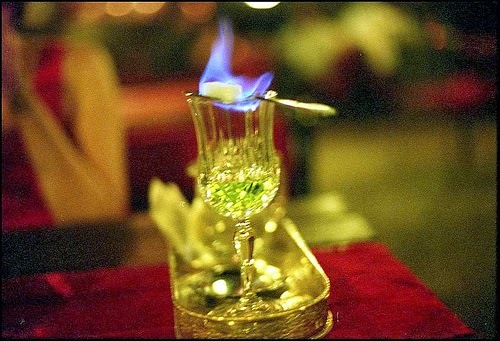 Well in order to commemorate the continued being of France I felt it would be pertinent to take a look at one of the nation's crowning glories (a nice little distraction from all those military victories), so let's look at Absinthe! So, whilst absinthe gained huge popularity and is largely portrayed as un Français boivent it actually was born in Switzerland. Not content with swiss army knives, swiss cheese, Mont Blanc and all that choccy, Dr Pierre Ordinaire, (or Pete Normal to his friends), an admittedly French expat created the beverage as an all purpose remedy. The medicinal properties were carried on in Couvet where the first absinthe distillery was built, before the opening of a second in France in 1805. 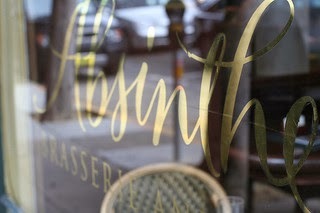 The growth in popularity of Absinthe is largely put down to the thirsty soldiers of France, who grew fond of the spirit after it was distributed as a malaria preventative. Upon their return, the Green Fairy swept through bars and cafes with every man and his dog taking up the drink, and 5pm was eventually dubbed "Green hour." Anyhoo, people started getting all uppity over reports that absinthe made you epileptic, tuberculosis-ridden, go mental, kill your family and various other misdemeanours. One critic said that absinthe makes "a degenerate of an infant" - I can't say I'm surprised here, however, perhaps in their opinion a baby drunk on cru Beaujolais is a much nicer and upstanding chap. Eventually France banned absinthe in 1914 by which point it was already outlawed throughout much of Europe. Finally, in the 1990s a country - a wonderful country, a country with a dream and vision, with strength, fortitude, with pride, taste, a stiff upper lip, successful army and a monarchy - came along and brought about the revival of absinthe. 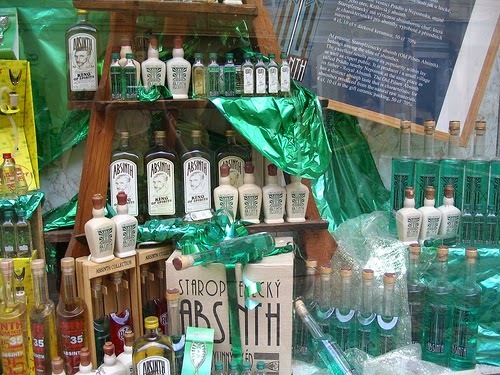 Yes, that's right, a British company realised that by stroke of luck absinthe had never been banned from Britannia's blessed shores and started importing it from eastern Europe. From here the popularity of le verre vert rose onwards and upwards and has become truly entrenched once more in pop culture and our psyche.